Unlisted Syracuse Gold - Private property. Patented mineral rights & surface rights. 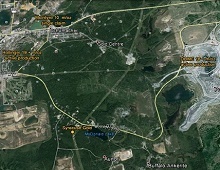 Copious past production from proximity mines make this a high potential, tier one, Canadian brownfield opportunity. 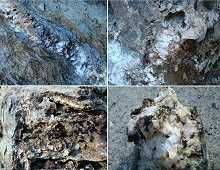 Located on an overlooked private land parcel centered in the core of the Timmins Goldmine complex, this vein system was first indenti fied in 2008 and is an ongoing discovery. 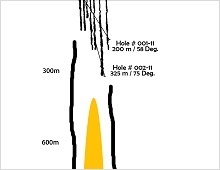 Preliminary geological drilling proves system genuine, completely vertical blowing out to depth. 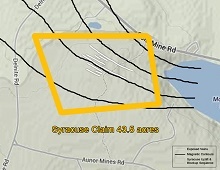 The Syracuse surface footprint including its deformation, accessory mineralization, alteration patterns and vein textures are identical to the largest area mines. The project is in search of Joint Venture Capital Partner or available for buyout.